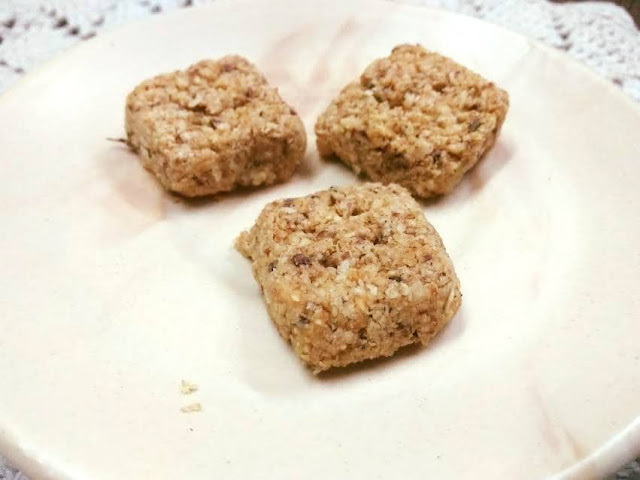 In continuation of my moong cookie recipe with autolyzed dough, I am back with another one - this time it is a therapeutic cookie recipe. Surprised, are you? Do not be. I am here to solve your doubts about cookie recipes. Anyway, coming back to the autolyzed cookie recipe, this time it is lactation cookies with fiber-rich oatmeal and goodness of fennel, flax seeds, and olive oil. When your dad says, if you start a healthy cookie bakery, these cookies would sell in an instant, you know it all about this batch of cookies. Trust me, this lactation cookie recipe is a keeper. How? Because this is my second attempt at making cookies for new moms and this is also my second attempt at making cookies with autolyzed dough. Autolysis - the no-knead kneading technique - was brought to my light by Chithra Vishwanathan, who credits OPOS guru Mr Rama Krishnan for the same. After numerous cookie recipes, now it's time to try out one that has therapeutic effects as well. Yes, I am talking about the widely sought-after Lactation cookies. 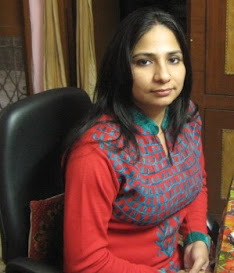 My bhabhi became a mom to my cutie pie niece (my paro) last year. Ever since I have been trying to find a recipe for her. This lactation cookie recipe comes right in time. 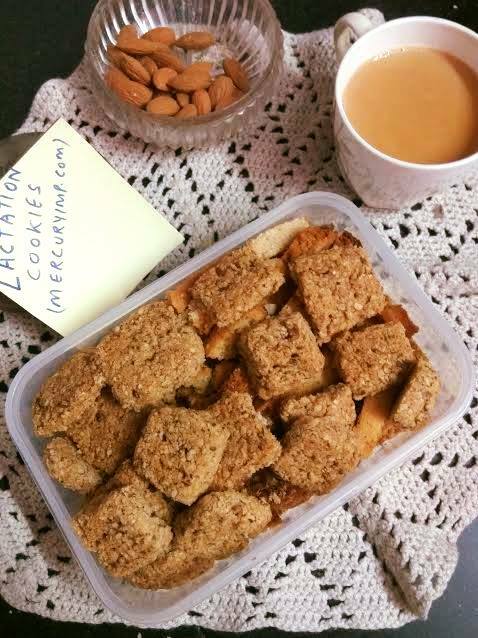 Taking a leaf from Simran Oberoi Multani's lactation cookies, I have come up with some modifications to the original recipe for new moms. My mentioning it as lactation cookies does not mean that these aromatic beauties are for new moms alone. 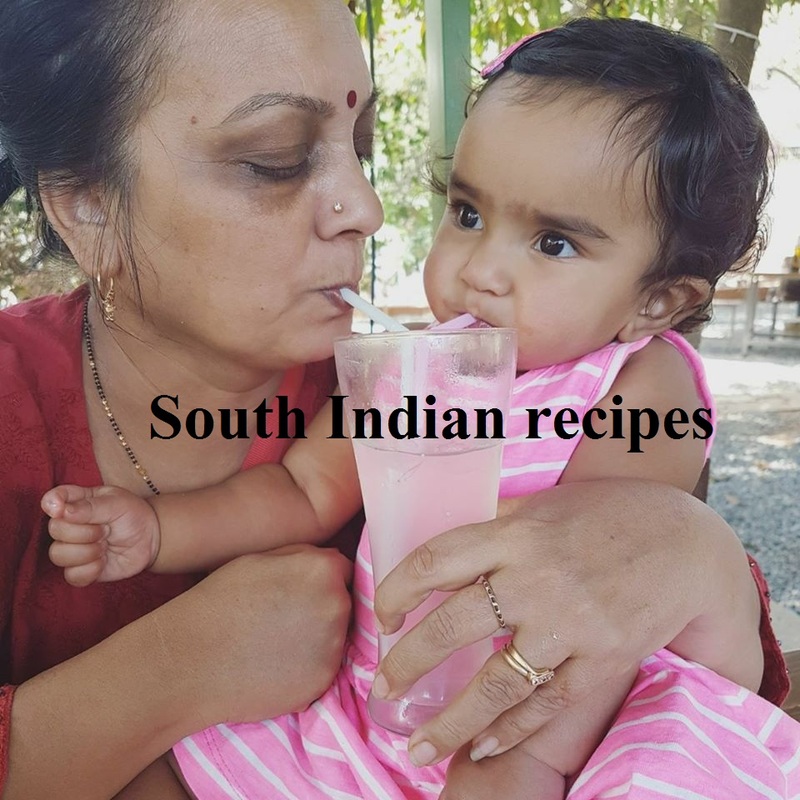 Whether you are a nursing mother or not, you should give this cookie recipe a try for the sheer sake of your cookie love. I am not a mom, but I absolutely adore these fennel cookies. These are so rich, so flavorful, so aromatic, and of course healthy. How? 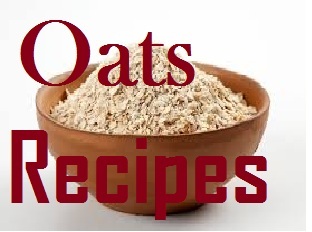 Uses fiber-rich superfood grain "oats"
According to The Wise Woman Herbal, nursing mothers should use the seeds of fennel or any of its close relatives, including cumin, star anise, coriander, caraway, and dill. These medicinal herbs can help improve milk supply for breastfeeding women. Fennel seed has long been used as a galactagogue - a food that improves the supply of mother's milk. Two small studies establish a link between an increase in breast milk volume and infant weight gain when mothers were given fennel galactagogue therapy. Additionally, fennel is used as a digestion aid. I prepare a detox drink with fennel during summers. You can put it to various uses - add it to your tea while brewing or throw a few fennel seeds in your parantha or Kerala style curries. You will simply love the fennel aroma. However, moderate use of any herb holds the key to deriving its maximum benefits. Flax seeds are rich in Omega 3 fatty acids and lignans, which are naturally occurring forms of estrogen - the female hormone. Flax is used as a laxative. Flax may help lower blood sugar levels. However, diabetics should use flax seed cautiously as it could interact with their insulin therapy. According to a study, flaxseed oil supplementation in lactating mothers led to an increase in α-linolenic acid (ALA), docosapentaenoic acid (DPA), and eicosapentaenoic acid (EPA) in the supply of their breast milk. The discontinuation of the therapy resulted in the fall of fatty acid levels in breast milk, which returned to the baseline. 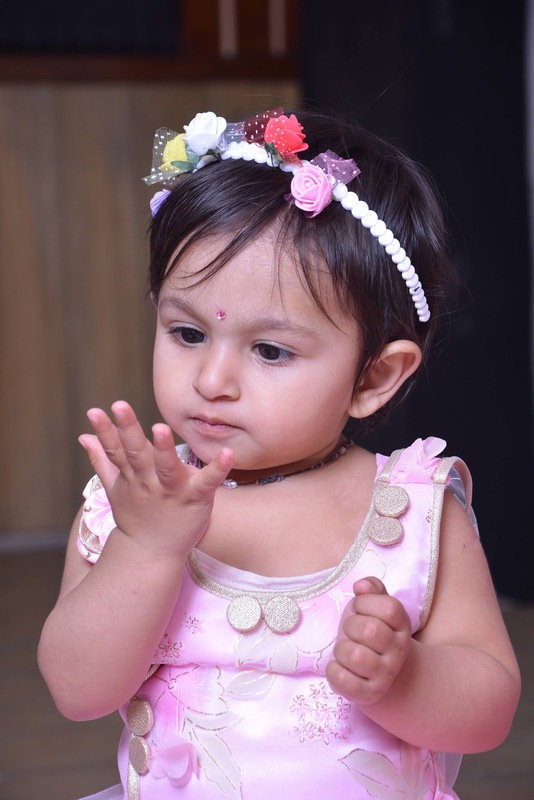 ALA helps in the development of infant retina and brain. Research is still under way to establish whether fennel seeds for lactation can be part of a galactagogue therapy. Nevertheless, fennel and flax seeds continue to be used by nursing moms and pregnant women for their various therapeutic effects. However, it is still advisable to use these natural herbs in moderate amounts to derive their maximum benefits. Never stop feeding your baby with your breast milk, because it acts as a potent weapon against several maladies for your little ones. Never give cow's milk to your infant before he/she turns 1 year of age. Feeding them dairy milk can make them intolerant to lactose. This could mean your baby would become lactose intolerant for a lifetime and they can never enjoy cow's milk even when they grow up. Say no to a sweet or salty diet unless your baby is a 1-year-old toddler, because salt and sugar can have an adverse effect on their kidneys. I was surprised with the results I have achieved with autolyzed dough for cookies. 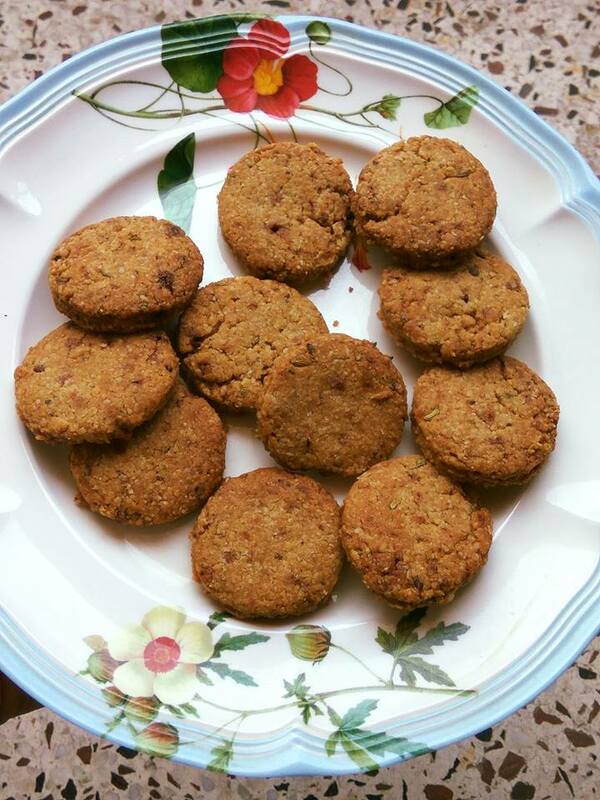 The previous moong cookies with autolysis technique gave me incredible results - melt-in-the-mouth, aromatic, and healthylicious cookies. 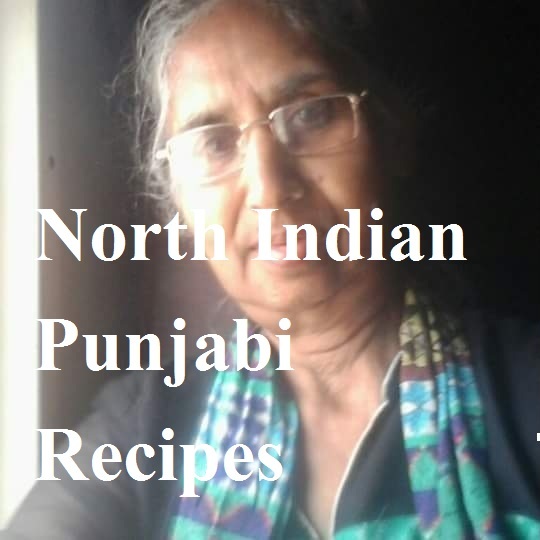 Take ghee, oil, salt, jaggery powder, fennel seeds, and milk in a bowl. Whisk very well until light and fluffy. Take a sieve and sift both flours along with flax meal into the wet mix. Mix both with a whisker or spoon. Leave aside for half an hour and wait for autolysis to work magic. The flour should have absorbed all the moisture by that time. Make small balls or roll it out into a thick chapati. Use a cookie cutter or a bangle to give shapes to the cookies. I chose to airfry cookies once again. My cookie baking experience tells me that cookies with autolyzed dough are extrmeley soft, flaky, and melt-in-the-mouth. I wonder whether I would ever need to use raising agents for my cookies again! Outstanding is the only word for autolysis cookie dough. You may follow autolysis technique for the following measurements as well. This was my first try at making lactation cookies without autolysis. I have changed measurements of the ingredients in the second attempt. 1. Whisk ghee and oil. 2. Add salt and jaggery. Whisk very well again. 3. Add flax meal and whisk once again until the mix looks light and fluffy. 4. Throw in fennel seeds. 5. Add almond flour, oatmeal, and whole wheat flour. Mix. 6. Start gathering the ingredients. PLEASE DO NOT KNEAD. 7. Can you bind the dough together? If not, add 1 tsp of milk. You should be easily able to bind it into a log. 8. Take an aluminum foil or cling film and wrap around the lactation cookie log. 9. Refrigerate for 30 mts. 10. Take out the log from the refrigerator and preheat the oven or microwave convection at 170 degrees for 10 mts. 11. Roll out into a thick chapati and cut into desired shapes. 12. Place the lactation cookies on a greased baking tray. I did not grease the tray, rather, sprinkled oatmeal all over it and placed the cookies on top. 13. Bake for 20 mts at 170 degrees. 14. Allow the lactation cookies to cool down on a cooling rack and resist the temptation to indulge in these beauties before they cool down. 15. Enjoy these therapeutic cookies with or without milk or tea. 16. This simple cookie recipe is for nursing mothers, but you do not have to be a nursing mom to try these melt-in-mouth baked goodies. 17. Try the batch today and indulge in baked goodness like never before. I am a mother to a one year old baby and her recent nursing behaviour had me doubting my milk supply. 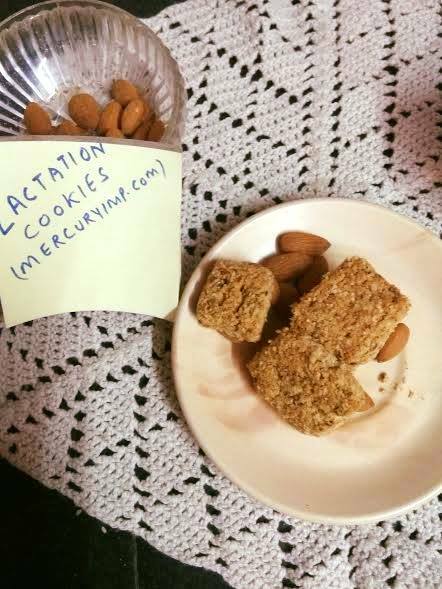 I decided to bake lactation cookies for myself and rushed straight to my hero, my saviour MercuryIMP. As i write this i m munching on one of these insanely delicious cookies and having multiple foodgasms. These are so delicious, i baked 23 cookies in all and i doubt they ll last for more than a couple of days. 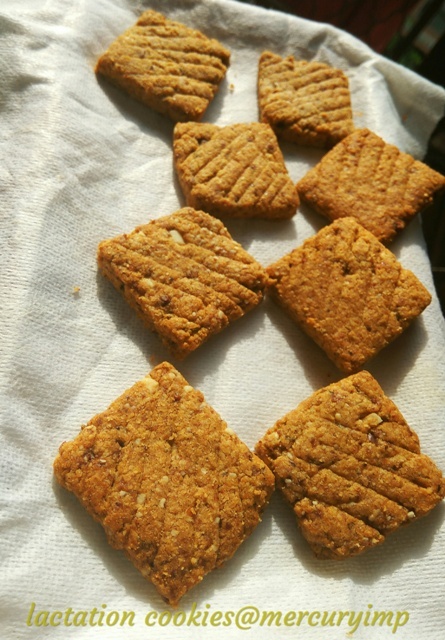 So crumbly and flavourful, rich and they do melt in the mouth as the recipe promises. Lactation or not, i implore u to try them. This is one of the best messages we have ever received here at Mercury IMP. Thank you for stopping by. I feel honored by your glorification of this simple cookie recipe. I hope you benefit from it therapeutically as well. Stay blessed dear. Happy munching! 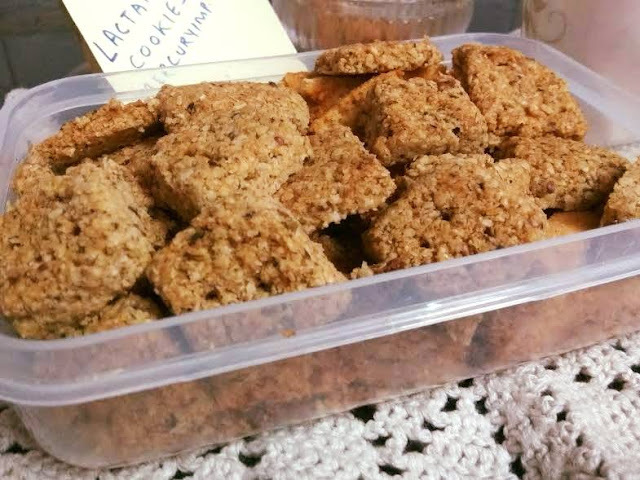 You have cookies for all class dear Ravneet..these lactation cookies sound so healthy and delicious ... beautiful post !